The recent decision of the federal cabinet to rationalise General Sales Tax (GST) and levy a one-time flood surcharge are much-needed reforms to bolster Pakistan’s elusive and perhaps unattainable ideal of economic self-reliance. A state, which has perfected the art of collecting and negotiating rents for its strategic games, is least interested in creating a redistributive welfare state. The emergence and fortification of a rentier state, therefore, is neither peculiar nor new as phenomena. However, it has now come to haunt the future of the country due to the evolution of rent-seeking culture, which is almost a way of life. We need no half-baked perceptions-based studies from abroad to know that crude and sophisticated forms of corruption are now embedded in our public life. From the delivery of a basic service to the purchase of a submarine, this is the way the country functions. The elites have strengthened trends such as tax-evasion and made them legit mechanisms of governance and public affairs. 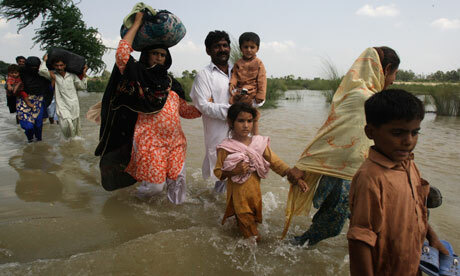 Recent floods have exposed the capacity of the state to govern, especially at the local level. The disintegration of local state is not a recent phenomenon. The continued experimentation with and frequent strangulation of local governance arrangements have led to a situation that Pakistan’s burgeoning population is now without a representative, accountable local state. Erosion of state writ: Three historical trends are noticeable for their impact on the overall governance and the writ of the state. First, centralisation is a tendency that is most attractive to those who govern Pakistan at the federal and provincial levels. The post-colonial Pakistani state has retained the official obsession of controlling power and patronage at the top and denuding the local space for democratic development and sound mechanisms of accountability. Secondly, granting local autonomy has, by and large, been a smokescreen for powerful military governments to bypass provincial politics and control the levers of state and society from above. Thus, we have an established pattern: local government experiments flourish under authoritarian regimes and get undermined whenever democracy, a la Pakistani variety, returns. Finally, the constant denial of a responsive state at the local level has led to erosion of state legitimacy and the void has been filled in by mafias, politico-criminal gangs and militant non-state actors. Going through the national and international media, one keeps on getting the impression that despite the staggering magnitude of the havoc inflicted by the flood, the response, both domestic as well as international, could at best be termed as sluggish. Given the fact that a huge area is still inundated and catastrophe in the form of widespread disease is looming, the response apparently shows a nonchalant behavior. Internationally almost every famous website and newspaper is pointing towards apathy of the international donations. But the buck does not stop at the international response as unfortunately the domestic response is also mirroring it. So what could be the reason for this kind of response . The spirit which was seen the earthquake relief in 2005 is not being repeated at the international as well as domestic level. There are basically two reasons for that. Firstly and perhaps more importantly is the loss of credibility of the State, particularly the government, nationally as well as internationally. This is a serious issue and is hampering the process of donations and aid accumulation. Consequently the people of Pakistan are suffering. Second issue is that the world is still underestimating the damage due to this calamity.